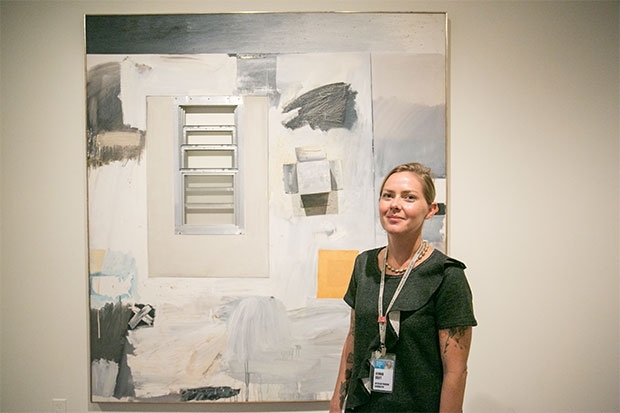 For Craft, the best thing about working at the museum is “spending time in these buildings surrounded by really, really great art and other people who care about it.” When asked which work is the greatest, she opts for Robert Rauschenberg’s Trophy V (for Jasper Johns), on view in the Temporary Exhibition Gallery 10. The 78-by-72-inch canvas is one of the artist’s signature “combines”—a form that joins sculpture and painting—featuring an inset metal-frame window, an attached cardboard box, and several other three-dimensional objects painted in various tones of gray. When I look at this painting, I feel a certain balance brought by unimportant objects surprising us in everyday life.